In 2011, completely out of the blue, I was approached by a gentleman by the name of Hubertus V Sulkowski regarding a painting of a World War 1 fighter pilot called Godwin von Brumowski, Austria-Hungary's greatest ace who fought in the skies above the Italian Front in the final two years of the war. Mr Sulkowski, as it turned out, is the grandson of Hauptmann Brumowski and, over the following few years, we developed an excellent working relationship and became great friends. 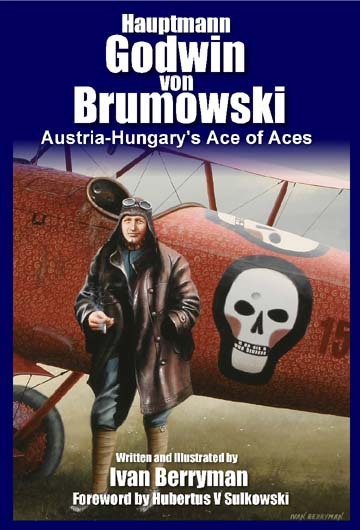 I completed a number of paintings of Brumowski and my thorough research, coupled with Mr Sulkowski's knowledge of his grandfather, threw up the possibility of a book detailing the life and career of this relatively unknown pilot. Having written only a handful of features and articles for various publications, the prospect of writing a book seemed a daunting one at first, but the research came together quite easily and I was helped an encouraged along the way by several kind and enthusiastic individuals who volunteered rare photographs and anecdotes, all of which added spice to an already fascinating story. 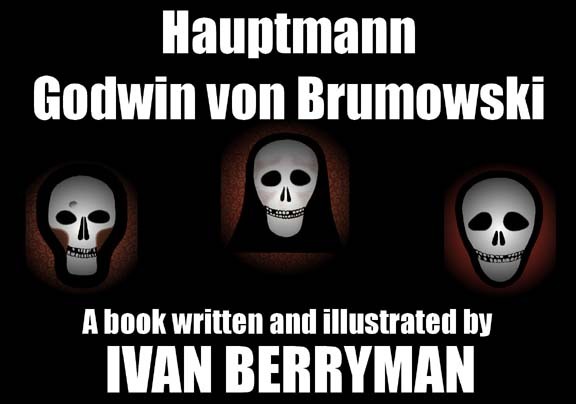 All of my paintings of Hauptmann Brumowski appear in this book in full colour, together with many contemporary photographs, some of them very rare and previously unpublished. The book is supplemented with a map and the most accurate list of Brumowski's victories ever published, compiled using new records and information that has only recently come to light. Hubertus V Sulkowski has provided the foreword and the respected WW1 publisher Cross and Cockade International have designed and published a very enjoyable volume. I am grateful to all those who have bought a copy but, regrettably, the demand has been such that I no longer have copies of the book currently in stock. If and when further stocks become available I will post details on this page of how to order.